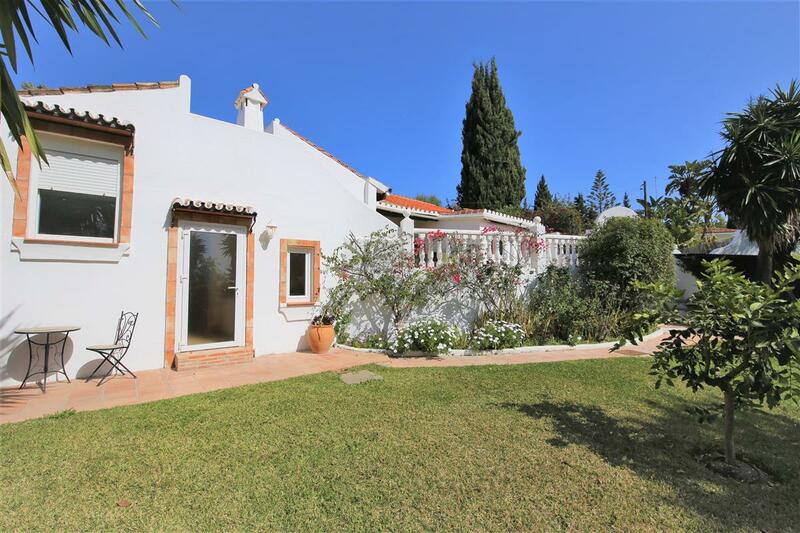 This calm rustic house is fully air conditioned and is located in the countryside just 2 1/2 kilometers from Estepona town. It is a great escape for a summer break. 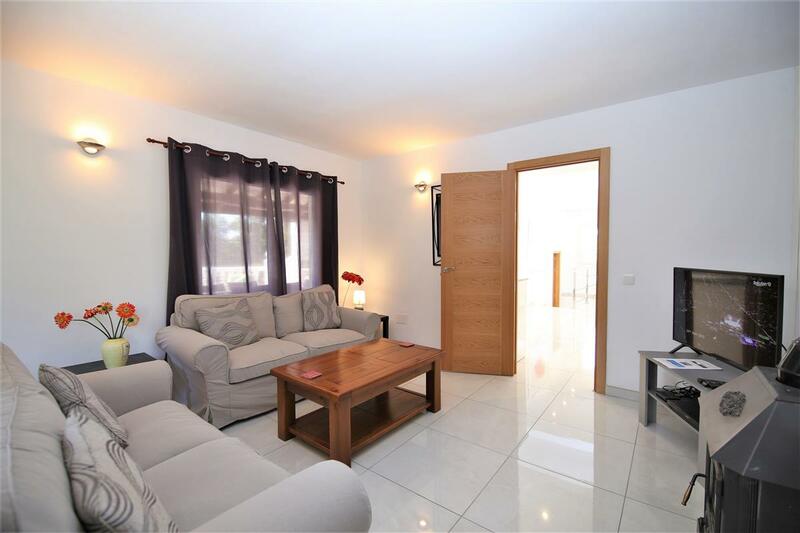 It has three bedrooms and three ensuite bath/shower rooms (the twin room has access directly onto the front terrace, the second double bedroom has access to the rear terrace and the main bedroom has access to the gardens (via the shower room). It is fully equipped for a relaxing break. There is television in the lounge area (with some British channels and ADSL internet access. There are also Ipod docking station available. The gardens are spacious and have lots of areas for sitting or for children to run around in. Fruit trees are dotted around, so help yourself! (The property is entirely fenced, so ideal if you want to bring your dog) The good sized private pool is located to the side of the house and has plenty of space around it for sun loungers. There are large terraces to the front and rear of the house and a cabaña is located next to the pool which is ideal for escaping the sun and relaxing with a cool drink and a good book. 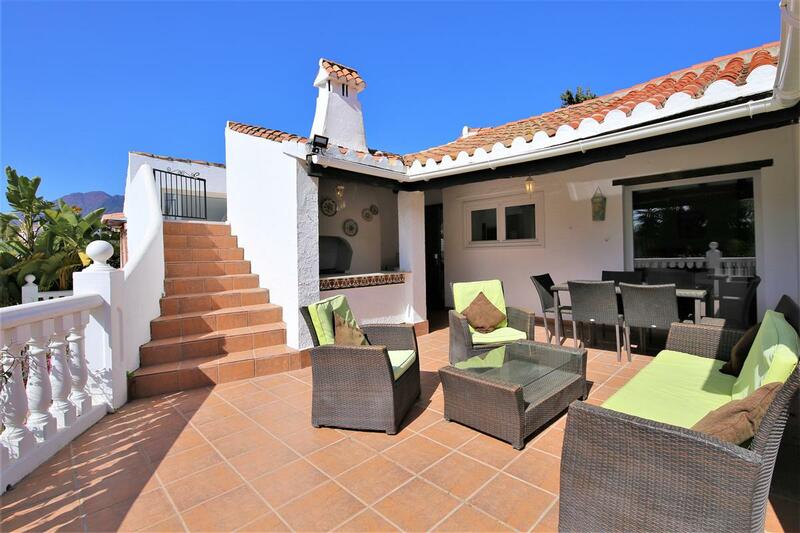 The house is ideal for relaxation in the countryside, yet in easy reach of the town of Estepona with all its facilities. The beach is less than a 5 minutes drive, 30 minutes walking and about 7 minutes to the hypermarket of Carrefour by car. Please note that there are some steps inside this house to access both double rooms. Do bear this in mind when considering it. Bedroom Features: All three bedrooms have ensuite bathrooms Two modern double bedrooms and one rustic twin bedroom with exposed beams). All bedrooms have access outside. Bathroom Features: Three ensuite bathrooms Two shower rooms One bathroom with shower.